Beautifully braided and artisan sewn area rugs and baskets, 50% Wool, 45% Nylon, 5% Other Fibers. Excellent quality, manufactured in the USA now, and for almost a century. 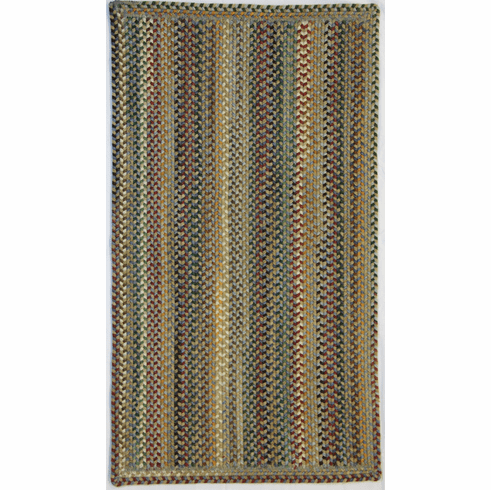 The rug PRICE shown is 5 foot 6 inch by 5 foot 6 inch vertical stripe rectangle (VS). All different sizes and shapes are available as shown below: baskets, concentric rectangles, cross-sewn rectangles, vertical stripe rectangles, ovals, runners, tailored rectangles and rounds. Check the rectangle lists to find squares as well.